Two days, 50+ companies and 100% technology innovation. 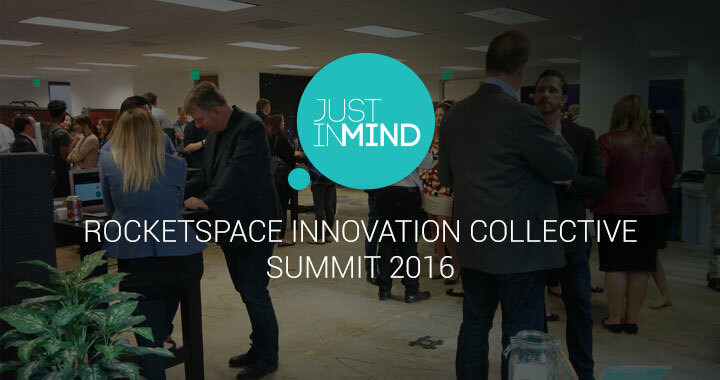 Needless to say, Justinmind had an awesome time at Rocketspace’s first ever Innovation Collective Summit. Dedicated to bringing innovation execs from top global companies together with game-changing start-ups, Rocketspace’s breakout Innovation Collective Summit, held 5-6 April in San Francisco, gave Justinmind the chance to get the lowdown on the latest ‘disruptive trends’ in tech, and hear speeches from industry movers and shakers like venture capitalist Tim Draper and Autodesk Innovation Genome Founder Bill O’Connor. Plus we got to make out like we’re ‘disruptive technology’ for two days! Even more excitingly, we got to tell business leaders what our Enterprise version can do for them. Designed as a fully functional prototyping platform for large organisations, Enterprise facilitates software requirement definition, agile teamwork and sharing throughout the entire prototyping process. Combine this with all the standard Justinmind features and you’ve got a pretty cool solution for large-scale projects. This was the Summit’s first iteration, but organizers Rocketspace hope the thrice-annual event will help members of its recently established Innovation Collective, a phalanx of carefully selected executives from leading global companies like JetBlue and Michelin, stay abreast of the ever-changing technology landscape. Rocketspace is still accepting new members to the Innovation Collective. If you see us at the next event come over and say hi!